Now slamming into the Gulf Coast, Hurricane Isaac is the latest in what’s turning out be a notoriously bad year for extreme weather events in the US, the increasing frequency and severity of which fall right in line with climate scientists’ predictions of the effects rising human greenhouse gas emissions will have on global climate. Considered alongside severe drought, wildfires, shrinking Arctic sea ice cover, melting glaciers and other natural phenomena, the profound impacts of climate change on essential economic activities and broader society is becoming increasingly clear. Oil prices, for instance, began to rise on first word of Isaac coming together as a tropical storm. It is estimated that the storm, gathering strength to reach hurricane status as it swept over warm Gulf of Mexico waters, could result in 90 percent of offshore oil platforms in the Gulf being shut down. The effects and costs flow well beyond the energy sector, notably in terms of US agricultural production. Agricultural methods and practices used in the US are heavily dependent on a ready, cheap supply of petroleum products and fossil fuel energy. Already hit hard by another record-setting drought, rising oil prices will put another whammy on US farmers and food prices. Though many are not commercially ready, growing numbers of agricultural scientists, researchers, farmers and ranchers are working on less costly, water, energy and natural resource-intensive alternatives that function more in harmony with natural processes and the environment, as well as adaptable to changing climatic conditions. One such example can be found at Aurora Algae. The Hayward, California-based start-up is developing a photosynthetic production platform that uses seawater, carbon dioxide (CO2), sunlight, and–you guessed it–algae to produce biofuel, fertilizer, essential food nutrients– protein and Omega-3 fatty acids, as well as pharmaceutical products. With financial backing and other support from venture capital investors including Oak Investment Partners, Aurora Algae is looking to scale its operations from the pilot-test stage to commercial scale. 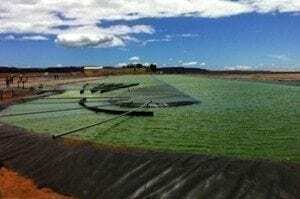 Aurora Algae’s currently operating a pilot plant in Western Australia, about a 2-hour flight north from Perth, where it’s cultivating a proprietary strain of algae in saltwater ponds that span six acres of desert land. Results thus far have been such that management is keen to raise the company’s public profile. Working with initial customers, the local and national Australian government and its “seed” stage investors, Aurora Algae’s production system yields 38-times as much usable protein while using just a small fraction of the freshwater required to produce the equivalent amount of soy protein, VP of business development Leslie van der Meulen and director of corporate marketing Paul Brunato told Global Warming is Real. 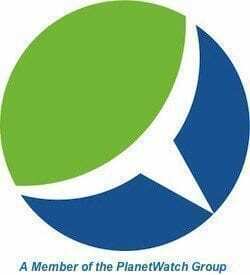 Aurora Algae was born in 2006 out of a research project company founders conducted while at the University of California, Berkeley (UCB). Initially focusing on using their strain of algae to produce biodiesel, they also began to analyze its other components. Realizing the algae they were cultivating was also an excellent source of protein and essential Omega-3 fatty acids, management, with backing from their VC investors, changed tack and broadened their strategy to encompass fertilizer, protein and Omega-3 fatty acid production in 2010. Aurora management and staff, along with its investors, initial customer/partners and the Australian government are all excited about the prospect of “creaing a new [energy and food production] technology,” he added. The benefits and advantages of Aurora Algae’s biofuel/agriculture/pharmaceutical production system are numerous and substantial. Feeding, employing and seeing to the health care needs of a world population that’s forecast to grow from a currently estimated 7 billion to reach 9 billion by 2045 is placing ever greater strains on natural resources and the environment, as well as governments’ ability to provide essential support and regulation. Compounding the challenges and problems is growing use of fossil fuels, carbon and greenhouse gas emissions, coupled with the growing impact that’s having on global climate. Aurora and its backers believe they’re developing a technology and system that can turn deserts into productive land capable of producing biofuel, fertilizer, essential protein, Omega-3 fatty acids and bio-pharmaceuticals that’s not only cheaper and more productive, but requires a fraction of the freshwater, energy and other inputs derived from natural resources required using current, conventional methods. Adding to the benefits and advantages, Aurora Algae’s biofuel and food production system can be put to work in any area of the world where sufficient qualities of sunlight, CO2 and seawater are available. Faced with feeding and employing fast-growing populations, the Middle East, along with substantial areas of land in Asia, Latin America and Africa are all prospective project sites. Aurora Algae’s now producing agricultural products and biofuel in a desert region where extracting and exporting finite mineral and energy resources has resulted in cycles of economic, and employment, booms and busts, the Australian government’s supported the project to the extent of extending grants and investing in the pilot project. The prospects of creating a new, sustainable industry capable of creating jobs, as well as long-term economic and environmental benefits was enough to convince the Australian government to back the project. “The local and national government have been extremely supportive of our operations. That’s one of the reasons for choosing the location,” van der Meulen said. Aurora Algae and its backers believe they’ve hit upon an environmentally sustainable and economically and socially beneficial technology for producing food and fuel. “We’ve had discussions with folks regarding different approaches,” van der Meulen said. “Corn, sugar cane, palm oil…We consider ourselves the most sustainable option from Day 1, and any subsequent improvements we make will just be additional pluses. “The next step is to expand from pilot-scale to commercial-scale operations,” van der Meulen and Brunato said, vastly increasing the surface area covered of its saltwater ponds and production. “We’re planning on breaking ground on a commercial facility in early 2014. Right now, the immediate first step is to expand from six acres of ponds to 250 acres,” they related. Aurora’s uploaded a 7-minute video of the process on Vimeo. Check it out. Aurora Algae – Strain Development, Cultivation & Harvesting from paolobrunato on Vimeo.